The azuma is a Japanese bag known as Azuma Bukuro. 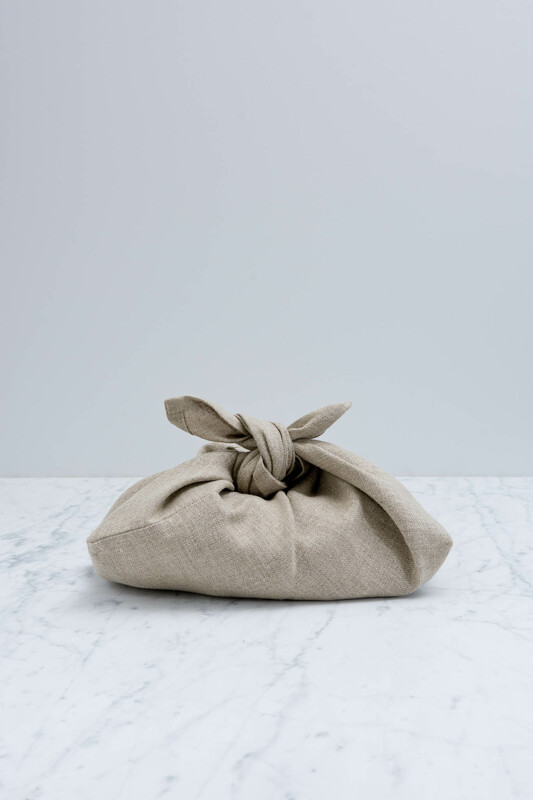 It is an ingenious construction made from a single piece of cloth, its roots are in the beautiful simplicity of the furoshiki cloth but designed to be slightly more user friendly. You simply fill it up and using the two ‘ears’, tie it off. 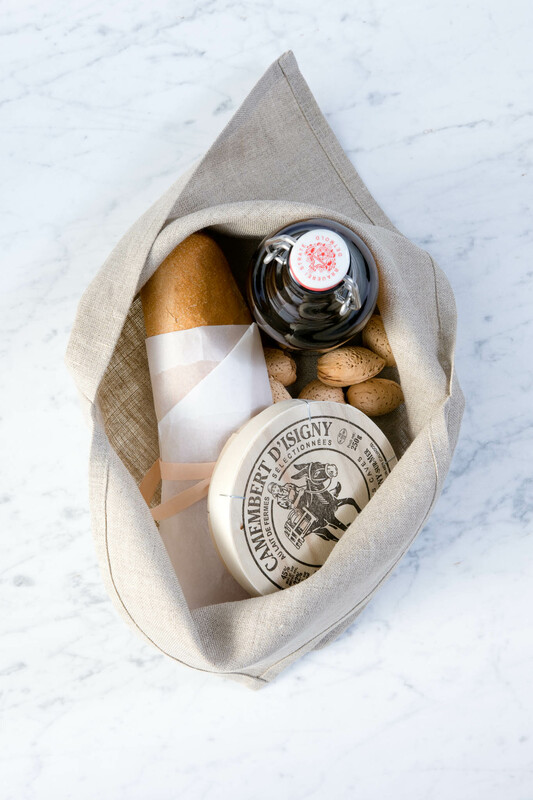 The small size is great for packaging and transporting your lunch or toting around your embroidery. 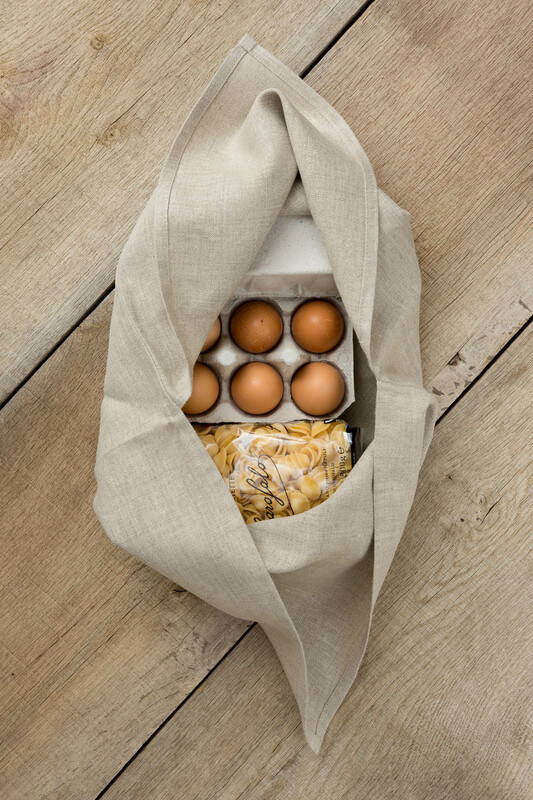 The medium size is perfect for popping to the market or local farm for some milk and eggs. 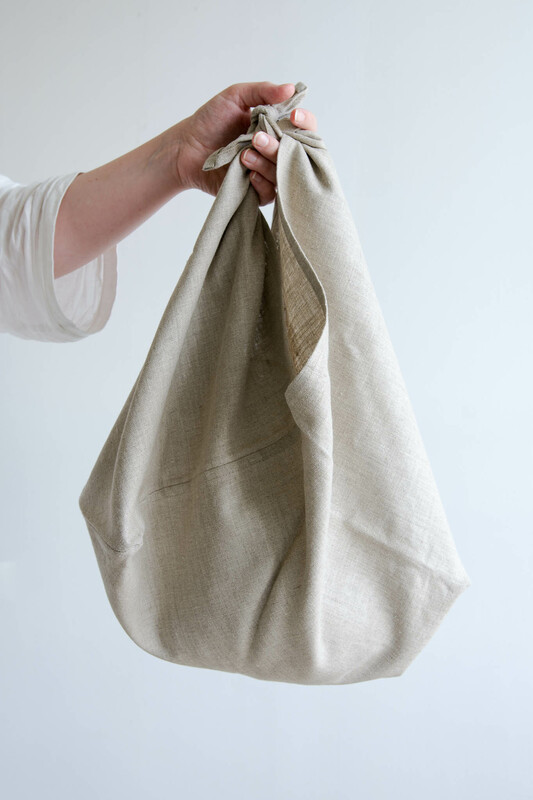 The large bag will fit snuggly on your shoulder if tied at the tips of the ‘ears’. 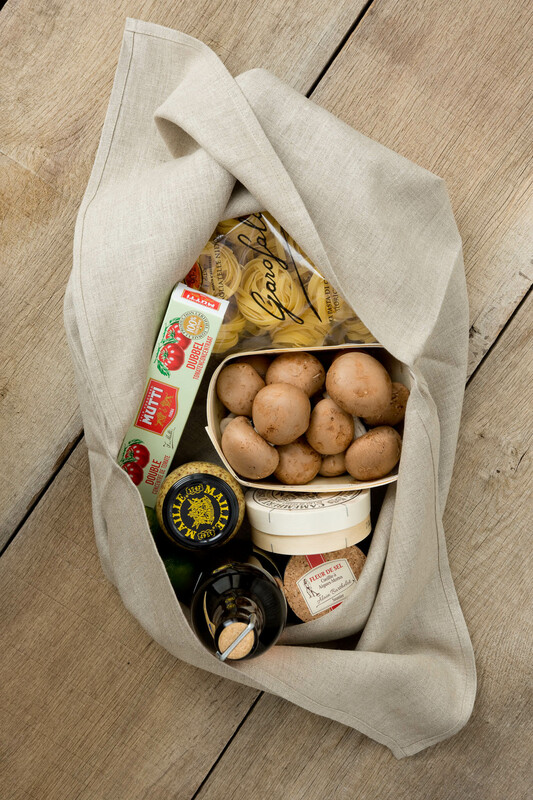 It is also great for a trip to the market for dinner and can easily fit the entire meal. 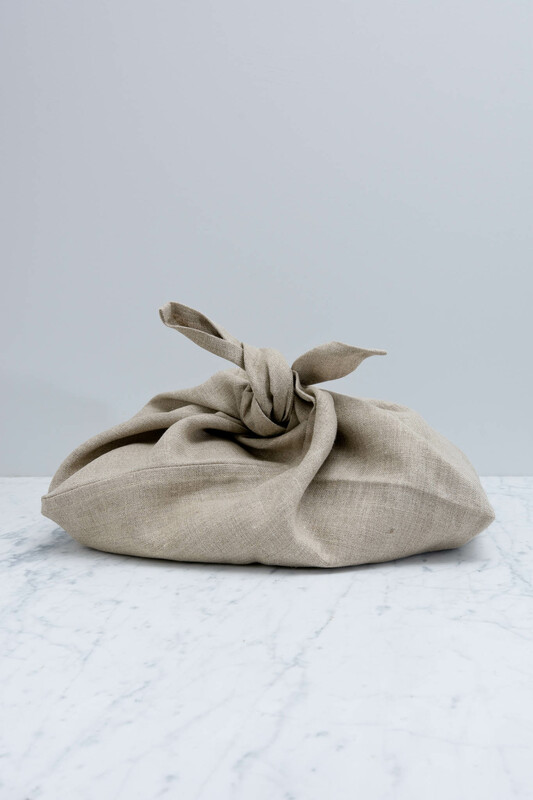 For storing your table setting (a tablecloth and napkins), choose the medium Azuma. For ‘wrapping’ Dolfin chocolates as a gift, choose the small Azuma. It can comfortably fit up to 10 blocks of chocolate and be tied closed. The large picture on the left shows a small Azuma. 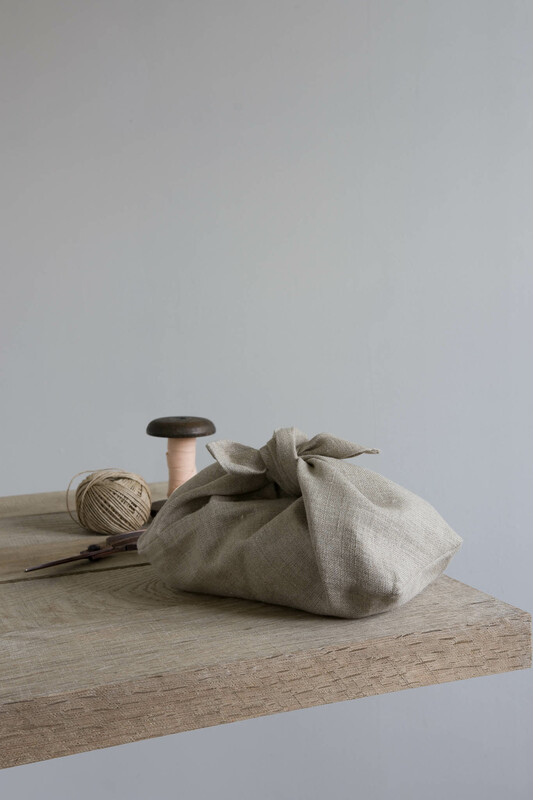 This azuma is made with 100% European linen. It carries the Masters of Linen® mark, a sign of excellence for linen made entirely in Europe, from field to yarn to fabric. The Belgian Linen™ Certificate of Origin guarantees the fabric really has been woven in Belgium and has passed severe quality tests.